"Every single person on the planet has to be brave at least once in their life, no matter who they are, how old they are, or how strong they are. Being brave is about having the courage to do the best thing, even when it’s hard and especially when you’re scared to do it." from 'Be Brave'. 'Be Brave' is a book about hope, learning to trust and understanding. It is a book that encourages the reader to "tell someone" if they have been hurt by another person. It is a simple, yet powerful message. The book is not a story, it is a journey the reader takes as they read their own experiences into the text. While the book is primarily for children from mid primary school age (about 8 years old) up to late high school age (about 16 years old), the message is for everyone. This book is very unique and should be in the hands of every child, every parent, every teacher, every carer and every school counsellor, as well as children's mentors, therapists, psychologists and medical professionals. It is relevant for children who have been hurt by another person, whether they were injured by physical or emotional abuse, bullying or harassment, either directly, indirectly or by cyber means. The book is also relevant for children who have not been hurt to help them understand that if, one day, the situation arises where they are hurt, they are aware of and understand the 'big, powerful move' that the book details; it is the answer they need to help them deal with the situation. 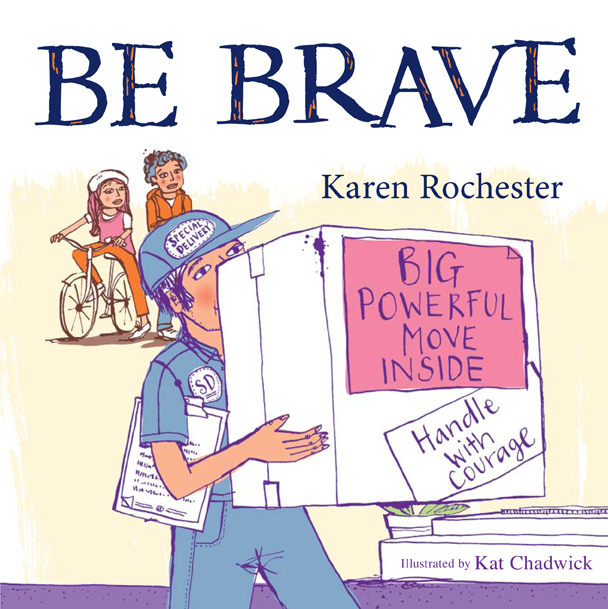 'Be Brave' is beautifully and gently worded and lets the child reader know immediately that he or she is normal for having strong emotions that come from being hurt. The book explains to the reader that there is help available if they can 'be brave' enough to 'tell someone' what has happened to them, someone they can trust. Consequently, it is a valuable resource for a child's emotional literacy. 'Be Brave' is fully illustrated in a delicate, beautiful and yet powerful way by Kat Chadwick. The book has also been carefully and sensitively edited by Riima Daher. I am very grateful to both of them for their contributions, empathy and integrity to the final book. Electronic versions of 'Be Brave' now available on iTunes, Amazon and Tredebit! More e-book formats coming very soon! Follow 'Be Brave' on Facebook and Twitter! Copyright 2012-2016. 'Handle with courage' is a registered trademark.